Why must you continue to play games with me, RAD Soldiers? We told you about the app in mid-April when it was first announced. 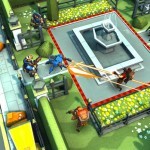 Publisher WarChest and developer Splash Damage promised to bring a high-caliber social gaming experience to the iOS platform in June for free. Think Words with Friends but using guns instead. But here we are in late July with no app. And another recently released trailer is continuing to pique my interest. The new video shows a ton of in-game footage, including the first look at squad customizations and the various multiplayer levels, mixed in with numerous explosions. Click here if you can’t see the video. The game is based in London after mysterious McGuffin rockets land, forcing a complete evacuation of the city. Shadowy figures have hired teams of mercenaries to find the rockets and the rewards that come with the hardware. Players must create a squad of unique mercenaries with customizable weapons, outfits, and abilities. 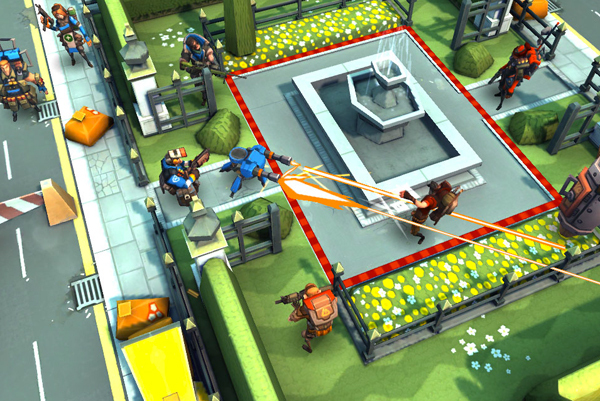 The teams engage in humorous, tactical combat on a turn-based battlefield. Combat can be waged offline with AI opponents or online against friends. The game is expected to be free and universally compatible with the iPhone, iPod touch, and iPad. Instead of a specific release date, the game’s official website now only says “coming soon.” And that can’t be soon enough.